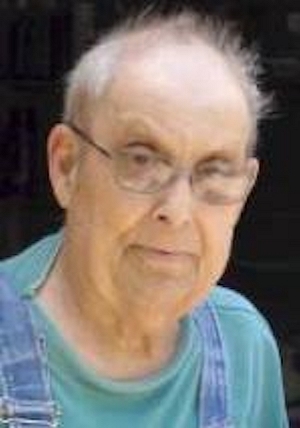 Obituary – Bolay, Clinton Joseph « Perry High School Alumni Association, Inc.
Clinton Joseph Bolay was born August 5, 1932, in Orlando, Oklahoma, to Dennis and Katherine (Pfeiffer) Bolay. He departed this life on Friday, July 14, 2006, in Oklahoma City, Oklahoma, at the age of 73 years. Clinton grew up and graduated high school in Perry, Oklahoma. He served his country in the U.S. Army during the Korean Conflict. After his service, he started working as a roughnecker. On March 11, 1967, in Peggs, Oklahoma, Connie Littlefield and Clinton Bolay were united in marriage. Clinton also had worked at the Perry Power Plant. He worked many years with his brother at Bolay Communications and several years as a truck driver for Cherokee County. He loved ‘old-time’ country music and was known as ‘Mr. Fix-it’ because of his abilities to fix anything. Clinton grew up in the Lutheran faith and had attended church at Peggs Community Church and Peggs Free Will Baptist. He liked to hunt and fish. He also enjoyed feeding squirrels and birds, especially hummingbirds. All of Clinton’s family and friends will miss him dearly. 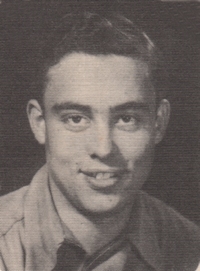 He is survived by his wife of over 39 years, Connie, of the home; 1 son: Sidney Bolay and his wife Lynn of Edmond, Oklahoma; 2 grandchildren: Blake and Thomas Bolay of Springdale, Arkansas; twin brother: Clayton Bolay of Edmond, Oklahoma; numerous nieces, nephews, other relatives, and a host of friends. Clinton was preceded in death by his parents and 1 brother: Clovis Bolay. Funeral services will be held 11:00 A.M., Tuesday, July 18, 2006, at the Peggs Community Church. Graveside services will be held 10:00 A.M., Wednesday, July 19, 2006, at Grace Hill Cemetery in Perry, Oklahoma.